A MUST HAVE for everyone’s trip to McNeil!!! With the generous support of a Rasmuson Foundation Grant,FOMR was able to proceed with the publishing of the 2009 and 2010 Photo ID Fieldbooks. The Fieldbooks are a cooperative effort between the Alaska Department of Fish and Game and Friends of McNeil River. The first edition published in June 2009 was well received. 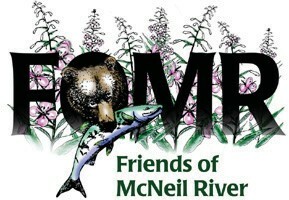 The second edition was published in the spring of 2010 with thirty-eight identified bears, new maps, and a more comprehensive photo guide of the plants of McNeil River. Both editions are available for sale through our website www.mcneilbears.org. We have thirty-eight bears spotlighted in the 2010 edition with photos, special traits and a place for your notes when you observe each bear yourself! For easy field access, the 5.5” x 8.5” book fits in most backpack pockets. Update packets will be released periodically. In 2013 most, if not all, of the bears shown in our 2010 book can still be seen on visits to the Sanctuary this summer. Our plan is that the project will help enable the enhancement of the development of the database that ADF&G has started. This might someday be one that includes census, age and gender mix of these bears. Additionally, information about specific animals and family bloodlines, unique physical characteristics, injuries, fishing styles, and timing of visits will also be tracked. In the future ADF&G may add genetic testing results to the database. Tom Griffin, Sanctuary Technician, has volunteered his time and photographic talent to the project. I believe the photographic talents of the new staffers that started in 2010 may also be enlisted for future editions, but time will tell on that. The photo below is a new one from Tom Griffin, 2010. This Fieldbook was inspired by the desire on the part of Friends of McNeil River (FOMR) and staff of the Alaska Department of Fish and Game Division of Wildlife Conservation to enhance the McNeil River visitor’s experience. It was a cooperative effort that called on the experience and knowledge of current and former Sanctuary staff, in addition to help from talented and enthusiastic photographers, supporters and two of the Board of Directors of FOMR. A first time visitor will find helpful information about the McNeil River State Game Sanctuary and Refuge, maps of the area (including vicinity, camp and trail maps), tips on bear safety, information on plants, mammals and birds in the Sanctuary, as well as descriptions and identifying photos of 30 brown bears. Never been there and want to go? We’ve got the information to help you with that, too. The bears shown in this book were photographed and identified in 2007 and 2008. A returning visitor or former visitor will recognize familiar places and animals depicted in this book and remember the very special place and experience that is the McNeil River Sanctuary. We encourage visitors to use this “write-in-the-rain” fieldbook to actively record their visit in the sanctuary. The wildlife biologists will point out characteristics of individual bears and how they relate to the general bear population and their habitat. As you observe the bears, there are spaces for your notes in this book. 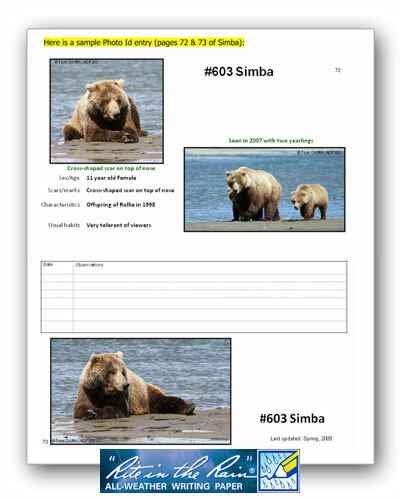 Try your hand at taking photographs, sketches and notes in a careful and precise manner that may help to point out “identifying traits” of the bears. FOMR will appreciate receipt of high definition photos, along with your notes, of all your observations for possible consideration for future editions. We welcome suggestions for future improvements. It is our intent to publish at least a second edition this coming winter with additional photography from 2009. 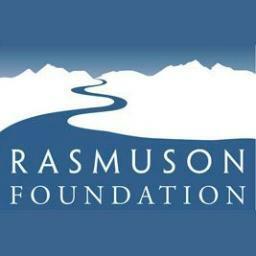 We were awarded a Rasmuson Foundation grant to help us with teh 2010 publication, which helped us make it even better for next season’s visitors. Early 2014, the 2010 version will be updated and made current with the bears the staff and visitors will be seeing.